Hello, Friends! How is it already Monday? We had a low key weekend full of pool time, errand running and lots of relaxing. 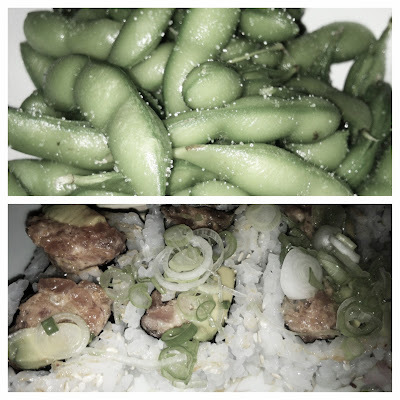 Friday night we had dinner at our favorite Thai restaurant and it was the perfect opportunity to try a new stack. 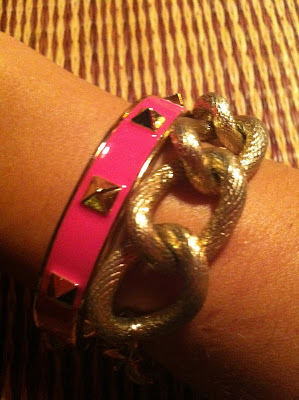 I snapped up this pink stud bracelet a while back from Bauble Bar and I'm so glad I did. Saturday I sampled some products that came in a recent Nordstrom order. I already use Chanel powder so I was excited to try their mascara. Urban Decay is another favorite and I couldn't wait to see if this eyeliner could even come close to the liquid 24/7 I already use. Look for some product reviews coming soon! Saturday afternoon, The Husband and I ran a few errands but not before we grabbed lunch at one of my favorite spots in Vinings. Cafe at Pharr has the best chicken salad and the weather was just right for hanging out on the patio! Saturday afternoon consisted of lots of pool time and catching up with friends. It was so good to be in the sunshine! Saturday night we planned to cook but after spending all afternoon at the pool, we decided to walk up to our neighborhood sushi place instead. I'm so glad we did! 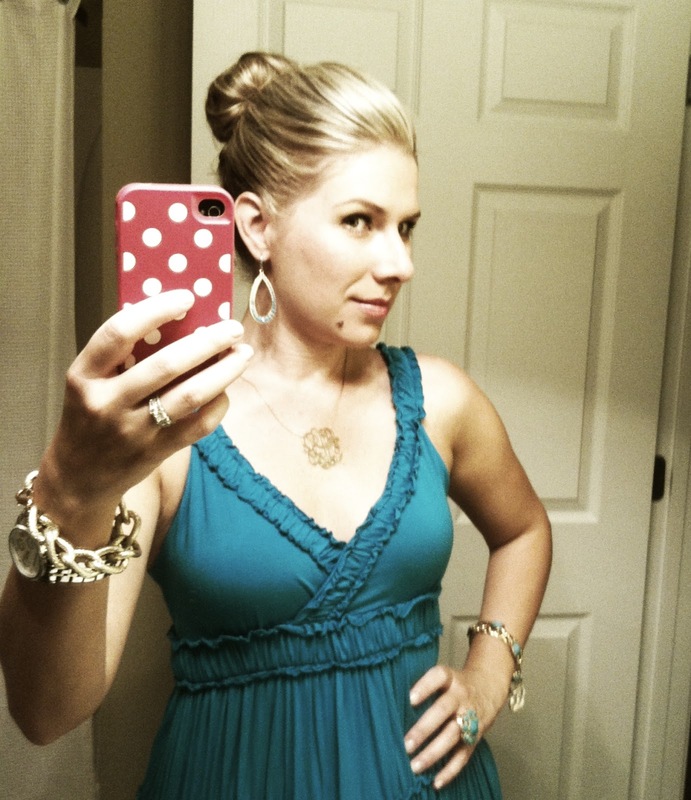 I was feeling a little unmotivated after the pool so I opted for a top knot and a comfortable dress. Not sure what I will do when these knots go out of style. So perfect for second day hair! Sunday was spent at the mall picking out some new digs for The Husband. Shopping with a man is always so funny to me. They go in, get what they need and get out. If only it was that easy for women! There you have our uneventful weekend. We are headed on vacation next week so here's hoping this week flies by! I think this sounds like a great weekend! I completely agree with you on top knots, so easy! Your food always looks so delicious!